As a ranch worker, hunter and horse and cattle wrangler in the Brush Creek Valley near Eagle for many years, I am extremely happy to see Sen. Michael Bennet and Rep. Joe Neguse’s Colorado Outdoor Recreation and Economy (CORE) Act introduced into Congress last week. This bill would protect 400,000 acres of public lands with a wide variety of designations designed to balance human use (without abuse), recreation and wildlife habitat needs. 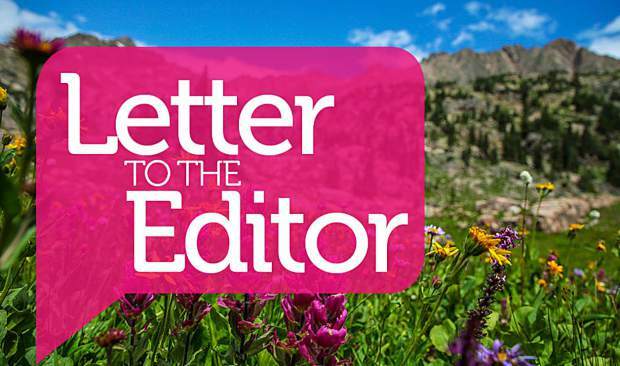 The CORE Act combines four outstanding regional citizen efforts at land protection, including the Continental Divide campaign that protects 100,000 acres in Eagle County and Summit County. All the lands in the CORE Act have been painstakingly and meticulously vetted over the past decade, and now constitute one dynamic package that serves the people, land, air, water and critters of our great state. I’m delighted that Sen. Bennet and Rep. Neguse combined these four initiatives, each ripe for passage, into one great bill. Now I call on Sen. Cory Gardner and Rep. Scott Tipton to lend their support as co-sponsors and work to help pass the CORE Act in a genuinely bipartisan way. We’re all in this together. Because of my life’s work, I have a close personal appreciation for our public lands and national forests and for wildlife, clean air and water. I have worked for over 40 years to protect wildlife habitats and conserve private land as well. I am concerned that our deer and elk herds are losing habitat and being diminished by building as well as over-recreation in their spaces. Good land protection such as the CORE Act helps us with this balance. I was always taught to leave something better than I found it. My life-long desire is to leave a legacy of protected open space with clean air and water for future generations. I wholeheartedly support this proposal and what it will mean for our grandchildren and beyond. We must leave them a legacy of places that are wild and free. My heartfelt appreciation goes to Sen. Bennet, Rep. Neguse, and to Governor Jared Polis (who introduced the Continental Divide portion of this bill three times) and their vision for that future. Please take a moment to thank them too. Please support this Colorado Outdoor Recreation bill — it is a big win for the future of our state.